LetsPhysics.COM: What is the square root of negative one? Before answering the question let me tell something else. What is the color of sight? What is the smell of nose? What is length of blood? What is the weight of your smile? Literally these are nonsense questions. But scientifically everything has an answer. Your sight's colour is multiple,have many. Your nose may smell like flesh or blood. Blood may have length under suitable conditions. You can even weigh your smile by checking the difference in you weight before and after smiling ,though very delicate. Getting the Square root of a negative one is just like that. You can get an answer to every thoughts arising,but may not be worthy to be a question itself. I have already told about Negative numbers. What are they? And how are they. There is nothing negative in them. It's just a convention in mathematics to convey some physical ideas. But,now we consider them - the convention - itself as physical stuffs. However,we can find some physical intuitions for the use of this square root. 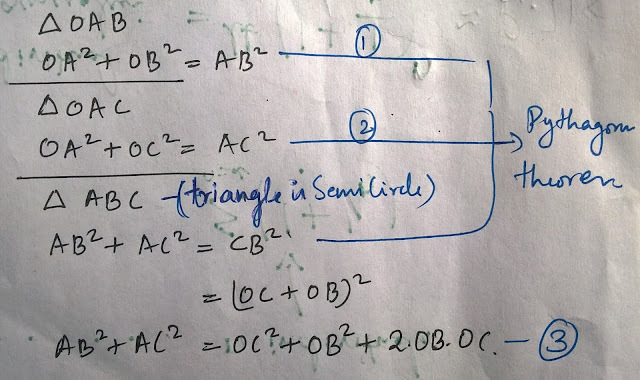 The square root though a bad question to find,yet gives a good use in explaining the existence of a 'y axis'. 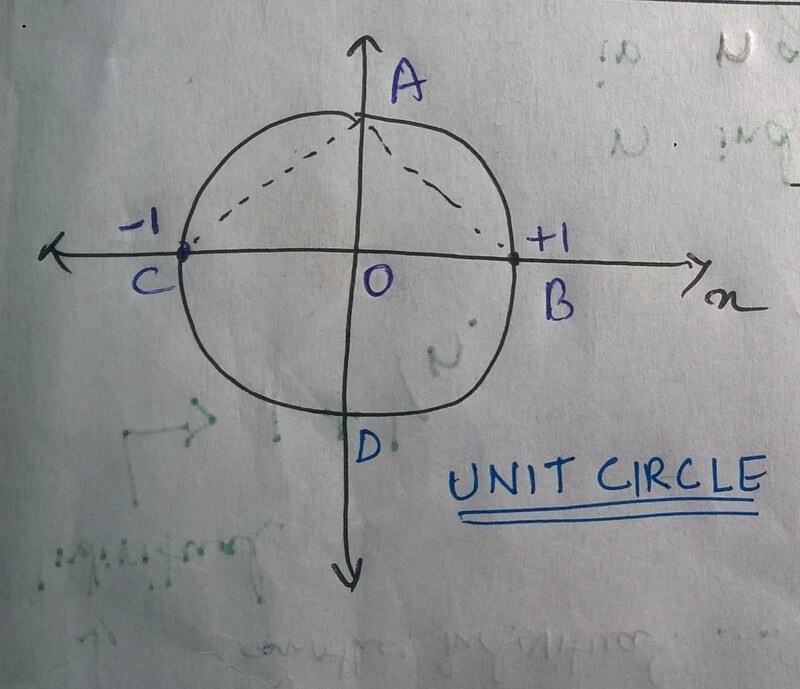 Draw a unit circle,and place it in the origin of a Cartesian plane. Check the pictures. See the equations. OA or the unit distance in Y axis is equivalent to one or negative one. 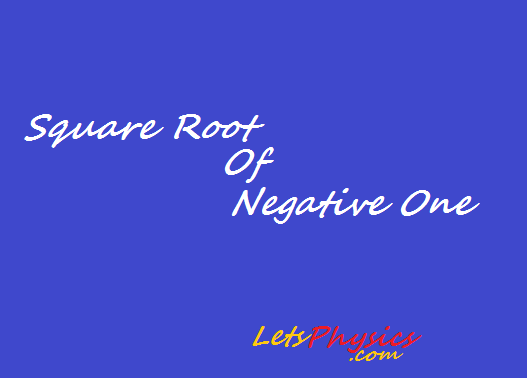 This finally proves that Negative one is equal to a positive one,which is equal to the square root of negative one and its negation. It doesn't mean that,square root of negative one is a big mysterious stuff. It only means,that mathematical conventions,if properly not interpreted could cause big quakes in the General Science. In turn,it became a big deal,when operations with it was proved to be useful - mainly The Complex multiplication and Multiplication with i.